There are many people out there who are looking for ways to make a little bit of extra money. They would like to pay off debt, pay for a vacation, or simply add to their household income. However, they do not want to obligate themselves to a part-time job, and they want flexibility. Fortunately, there are a lot of small business ideas or at-home work options that you can consider when you are looking for ways to make a little bit of extra cash. One of the best ways to make more money is to provide a service that others are interested in. There is one thing that people are always interested in and are willing to spend money on. This thing is food. Think of a food idea that you can prepare in your home and then sell to others. The thing that you choose to make and sell will depend on the needs of your local area and your own personal cooking skills. You can bake cookies, sell jams and jelly, prepare lunch plates, make candy, or offer chef services when individuals are in need of help when they are planning a large dinner party. The ideas are really endless. If you start a business selling food, you are going to need to consider how you will set up your kitchen. This is going to depend on how much space you have and the supplies that will be needed to prepare the thing that you plan to cook or bake. It is important to stay organized and to purchase tools that will make the job easier. For example, many individuals have benefited from purchasing tables that have food service casters. They can roll the tables around to create more space in their kitchen or cooking area. This makes the job a lot more convenient. There are many other ideas that you can consider in order to make a little bit of extra money. Do you have a hobby that can earn money? For example, if you sew, crochet, paint, sketch, know how to fix cars, or something similar, you can begin to use these skills to earn some extra money. Thanks to the Internet, starting an online business is also something that is completely realistic and relatively simple. 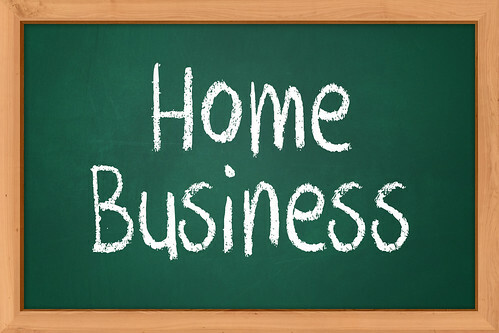 An online business allows you to make money without dedicating a lot of your time to the business. It is also convenient because it offers more flexibility, allowing you to work at night or on the weekends and then dedicate the rest of your time to your family or other job.